With the London 2012 Olympic games on the horizon, there’s been a huge amount of activity in the professional D-SLR sector over the last six months. 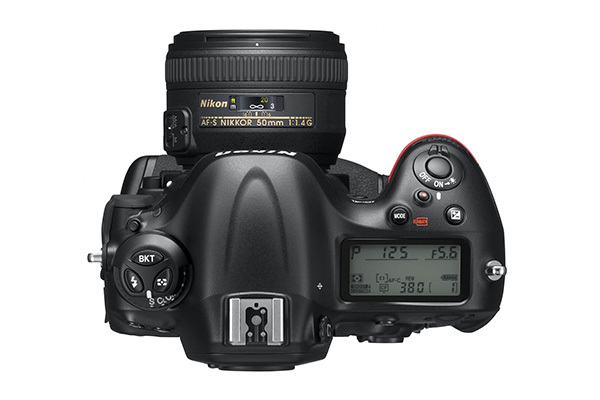 In October 2011, Canon revealed its brand new flagship model, the EOS 1D X, and three months later Nikon responded with the launch of its new pro-spec model, the D4. Building on the successful and well-constructed D3 and D3S models, the D4 has a lot to live up to if it’s to be the most highlyregarded D-SLR in Nikon’s lineup. At the time of its launch, the D3 was a groundbreaking D-SLR for the way in which it offered a staggering ISO equivalent range of 100-25,600 and a lightning-fast 9fps burst rate. The D3S improved on this with an ISO ceiling of 102,400 at its Hi3 setting, in-camera RAW processing and a 1.2x crop mode to add a bit more reach, albeit at a reduced resolution of 8.4Mp. So where can the D4 improve on the impressive characteristics laid down by its predecessors? 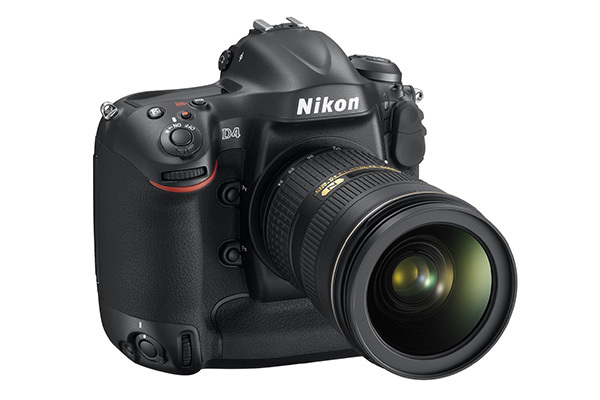 Unlike the D3 and D3S, which were built around a 12.1Mp chip, the D4 features a brand-new 16.2Mp FX-format CMOS sensor that’s been claimed by Nikon to outperform both predecessors in low-light situations. Measuring 36x23.9mm in size, the new sensor is capable of producing a maximum resolution of 4928x3280 pixels and partnering the chip is Nikon’s latest-generation EXPEED 3 image-processing engine that supports 14-bit A/D conversion and 16-bit image processing for an improved tonal gradation. In the two-and-a-half years since the D3S was launched, Nikon has also redeveloped the shutter. Though it’s technically the same Kevlar/carbon fibre-composite shutter unit as seen before, featuring a maximum shutter speed of 1/8000 and a flash synchronization of 1/250sec, it now offers a standard rating of 400,000 cycles, which works out as a 100,000 cycle improvement. In terms of ISO sensitivity and speed, the D4 is certainly no slouch for the sports, action and pro-photographers it’s targeted at. With a standard ISO range of 100-12,800 and the option of lowering it to ISO 50 in the L1.0 setting, the sensitivity can also be expanded to an impressive 204,800 ISO equivalent in the H4.0 setting. As for continuous shooting, the D4 is 2fps faster than the D3S when shooting full-res FX-format files, providing a breathtaking 11fps burst rate in its CH (Continuous High speed) release mode. Though the D4 adopts the 51 AF point array from the D3 and D3S, the Multi-Cam 3500fx AF system has been refined and is sensitive down to -2EV. The AF/MF switch also now has a button inside much like the D7000, designed so that you don’t have to take your eye away from the viewfinder when selecting AF and AF-area modes. There are individually selectable or configurable 9, 21 and 51-point coverage settings, which have been re-engineered for faster subject detection. Nikon’s 3D Tracking AF mode is also onboard designed to shift the AF point to follow the movement of any subjects for pin-sharp results. In addition to the 1x, 1.2x and 1.5x (DX) crop modes previously seen in Nikon’s pro-spec models, the D4 has a 2.7x crop mode that’ll be useful when even your longest lens hasn’t got the reach to fill the frame with your subject. To put this in perspective, it has the capability to turn a 70-200mm telephoto zoom into a 189-540mm equivalent, but the only disadvantage is that it reduces the resolution to 8.4Mp. Adopting the Quiet drive mode as first seen on the D300S, many of the other new features on the D4 are located on the side and at the rear. Beneath the protective rubber flaps are ports to support Wireless LAN access via a newly designed WT-5 transmitter (it also supports the WT-4), and a new Ethernet port is also built-in, designed for rapid data transfer. HDMI-out and a headphone port for sound monitoring are also featured and tie in nicely with the D4’s Full HD (1920x1080) video capabilities. Video files are produced in the .MOV format using the H.264/MPEG-4 codec, with a variety of frame rates to choose from including 30, 25 and 24 frames per second, with 60, 50 and 25 frames per second options available at 1280x720. Inspecting the D4 from the rear also reveals some changes over the D3S; the larger 3.2in screen has a 921k-dot resolution and there’s the option of magnifying images by 48x in Playback mode to analyse critical sharpness. The Live View button is paired with a switch allowing quick access to the video mode, while the movie-rec button that sits in front of the top-plate LCD is a welcome addition, although a little on the small side. One feature that’ll come into its own in dark conditions is the addition of illuminated buttons. Unnoticeable in daylight, these backlit buttons will help photographers in low-light situations when it’s difficult to navigate the controls and find the settings you really need. Yet another new feature is an XQD card slot that sits alongside a single CompactFlash slot. XQD is designed to offer faster data transfer speeds and loaded with a Sony H-Series 16GB XQD card we rattled off 75 full-resolution RAW files at 11fps before the buffer clogged up (compared to 65 RAWs to the CF card). Both are an improvement on the D3S, which managed 48 RAW files, recording to a CF card. Writing the 75 RAW files to the XQD card took a hasty 51secs (the 65 RAWs took 55secs to the CF card) and setting the D4’s format to Fine JPEG we were able to blast off a massive 168 files which took 1min 59secs to write to the XQD card (we managed 157 JPEGs in 1min 53secs to the CF). Again this is an improvement on the D3S which managed 130 JPEG files and is a significant development on the Nikon D3 which couldn’t take more than 65 files before the buffer was full. A visit to a local speedway circuit was an excellent test of the D4’s AF system in low-light situations where the subjects were travelling in excess of 50mph. The 3D AF tracking mode did a superb job of following subjects through the frame and there were no signs of hesitation whatsoever when it was coupled to Nikon’s 300mm f/2.8G ED VR II AF-S Nikkor lens. Customisation of the AF and AF area modes is now much easier than before with the dedicated button within the AF/MF switch and as well as being displayed on the top-plate LCD, the AF settings are shown through the viewfinder or on the screen via the small info button. Just like its performance, the D4’s handing is exceptional; the ergonomic changes at the rear mean there is now a dedicated AF toggle switch that makes it much easier to control AF-point selection in portrait orientation. On the D3S it was quite a reach with the thumb to access the four-way controller to alter the AF point but this is no longer an issue on the D4 and the neatly crafted thumb-rest makes it as comfortable to hold in portrait mode as it does in landscape orientation. With exquisite handling and top-class performance, the D4 picks up five stars in this category. 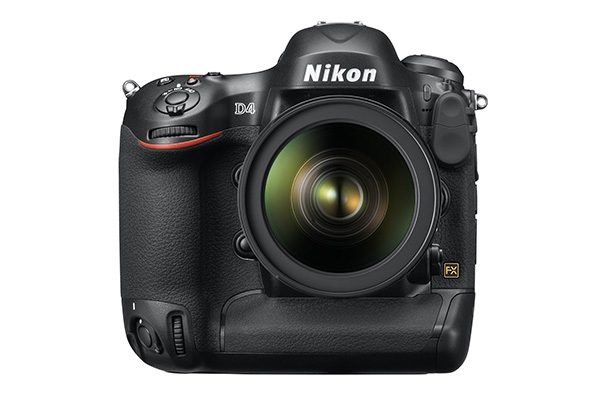 The D4 doesn’t come cheap, costing £5289 for the body only, which works out at £1290 more expensive than when the D3S first hit the shelves – unfortunately this suggests the price of new D-SLRs with the very latest features isn’t getting any cheaper. It’s also currently just £10 cheaper than its closest rival, the Canon EOS 1D X, which we’ve yet to review. This puts it a long way out of the reach of enthusiasts, but for the professionals its aimed at, the D4 is a huge leap on from the D3S and the improvements are clear when using it. The increased sensitivity range and enhanced Noise performance will appeal to those working in low-light and its 11fps burst rate will keep pros at the Olympics happy, because they can’t afford to miss a shot. Nikon has produced something quite spectacular with the D4; the price is high, but the performance means it’s everything a pro snapper demands. This review was first published in the May 2012 issue of Digital Photo - download back issues here.